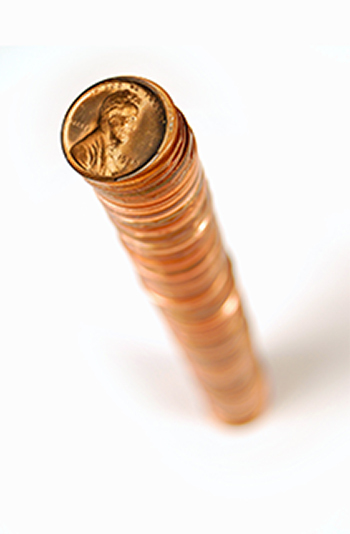 What will spark renewed interest in the hobby of coin collecting? This year marks the 20th anniversary of the 50 State Quarters program. Launched in 1999, the program saw the issuance of five different commemorative quarter dollars each year. States were featured in the order of their entrance into statehood. Each state theme was approved by the governor of that state. 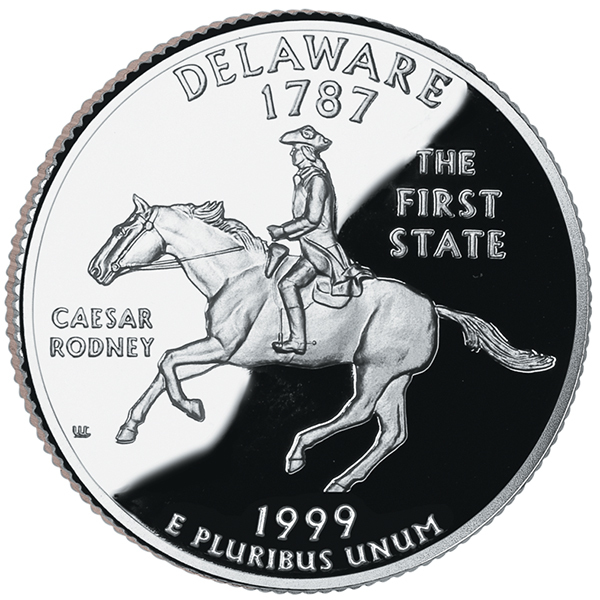 The 1999 Delaware quarter was the first issue of this fantastically popular series. The US Mint State Quarters program is extremely important because millions of people began to notice their coinage, and large numbers actually started a coin collection. Suddenly, everyone from young kids to seniors were filling coin albums again. Thousands of these new collectors discovered the hobby and moved on to more advanced numismatic pursuits. The United States Mint has been searching for the next big product to stimulate sales ever since the program ended. The America the Beautiful program has met with much less enthusiasm. 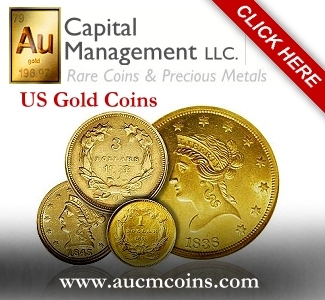 The rare coin market has traditionally been very cyclical, and subject to booms and busts. There has usually been an outside event that creates a rush to the hobby, and this has been going on since 1857 when the US Mint stopped making Large Cents. Coin collecting in America started in earnest when people began looking for scarce-date Large Cents. One of the most famous collectors of the era, Joseph Mickley, could not find an 1815 Large Cent (none were produced) for his birth year. He went on to form one of the greatest collections of US coins ever assembled. There have been many sparks that have caught the hobby on fire over the years since. Some of the major developments include the invention of coin boards in the 1930s. Collectors for generations have been drawn to the excitement and challenge of filling holes in albums. That is how my numismatic journey started in the 1970s when a family friend gave me a 1941-to-date Lincoln cent album. Like millions of collectors before me, I became obsessed with the task of filling that album. I became impatient looking through my change and bought a 1941‐S cent from Littleton Coin Company to complete my set. In the 1930s and ’40s, B. Max Mehl, a famous coin dealer from Fort Worth, Texas, promoted the hobby by running ads in magazines around the country offering to pay $500 for the 1913 Liberty Nickel, even though he knew none were in private hands. His operation was a huge success, and one of his catalogs from the time stated that he received over 70,000 pieces of mail each year. There is little doubt that his ads created a lot of new collectors for the hobby. When the US government decided to stop making circulation coins with silver, another mad rush of collectors joined the ranks of the hobby. In the 1960s, Brilliant Uncirculated (BU) rolls and Proof sets ruled the day, and there were more collectors than ever before. American Numismatic Association (ANA) membership levels peaked at about twice the current levels. The bullion boom of the late 1970s and early ’80s also created a rush to numismatics, and many rare coin prices peaked at levels that will most likely never be achieved again. Rare coin prices soared, but when metal prices crashed, numismatics soon followed. Numismatics slowly recovered over the coming decades, and after the advent of the internet, the hobby is on sound footing. The creation of third-party grading also jump-started a surge of interest in the hobby. 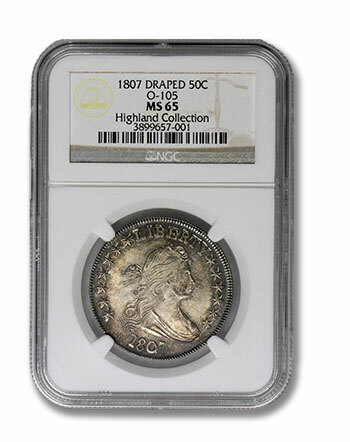 The safety and security of third-party grading attracted serious money to numismatics that would have been impossible otherwise. Most consider the biggest challenge to the hobby as being the aging demographic of your average coin collector. Other concerns include taxation, competition with social media and lack of interest by the public. The hobby could use the next big spark to create interest in numismatics. When I discuss this topic with fellow dealers, most have their hopes pinned on a bullion boom. Others wonder if the hobby would benefit from a stock market crash (I think the opposite). Both of these events are outside of the control of anyone in numismatics, and neither are likely or expected. I have spent years on the boards of the Professional Numismatists Guild (PNG), the ANA, and the Smithsonian trying to think of ways to expand the hobby we all love so much. Nonprofits are important, but their resources are too limited to move the needle much in the way of attracting new collectors. Everyone would love a national “Got Milk”-style campaign, but these costs many millions. The coin exhibit at the Smithsonian Museum of American History is seen by millions each year, and has been my biggest success so far. Others ideas to jump-start the hobby were floated at this year’s US Mint forum in Washington, D.C. The idea of the US Mint producing a “circulating rarity” was one of the most exciting that came out of the meeting. 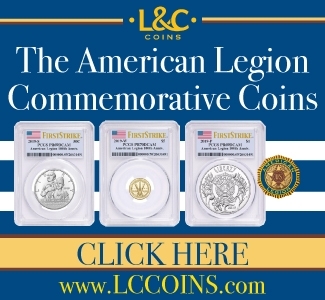 It was also proposed that the US Mint start general advertising again to create interest in the hobby. The US Mint is the only numismatic organization that has a big enough budget to make an impact. Another exciting idea that is just now gaining momentum is the #GreatAmericanCoinHunt that is being started by the dealer Facebook group, Coin Dealers Helping Coin Dealers, and its offshoot: RoundTable Trading. The group is organizing its nearly 1,000 member dealers to drop over 1,000,000 collector coins into circulation for National Coin Week in April. The group would also include key dates and specially marked coins to build interest. Hopefully, the exciting program will gain the attention of the national press, and attract legions of new individuals to look at their pocket change. No one really knows what the “next big thing” will be that attracts large numbers to the hobby. None of us should take the future of our hobby for granted, and I encourage anyone with a great idea to contact me. If the idea has merit, I will make sure the right people know about it. There are more tools available today than ever before, and maybe the next coin boom is just one idea away! I have alot of doubling on different coins, but don’t know how to sell them. I have new finds on different coins, don’t know how much they are worth, or how to sell them. We’ve meet a couple times throughout the years. Since I closed my company five years ago, all I’ve done is mull over the next move to keep Americas greats hobby relevant and moving forward. 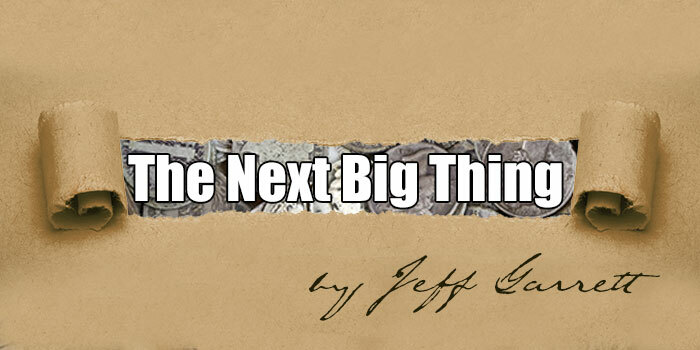 I’ve written a book address the “Next Big Thing” (the book is unpublished). Apart from my book there’s another positive move among some dealers and collectors looking to answer this question. Everyone wins, dealers, collectors and third party grading. This idea could be implemented prior to Summer F.U.N.. At this time were playing it close the the vest as we develop our plans. Mr. Garrett, if your interested I believe 30 to 60 days from now we could address our plans to move forward. Please forward contact information if you desire. In K – 5 the use of coins to teach fractions and decimals is (or was) very common. Now teachers are always looking for ideas to keep kids interested in subjects they teach. What better media representing so many aspects of history, science, flora and fauna to name a few.Lets develop a program tonite coins as teaching tools for teachers. The ANA’s Coins for A’s program has gotten a lot of play here in the Houston area over the last week. A local station did a story on the program. I think it might spur some interest in kids, but I don’t think it would lead to “the collecting bug” that we all had as kids. My interest in collecting was started by me receiving a Sears and Roebuck coin collecting kit full of empty Whitman albums, about 50 coins to put in the albums, tongs, coin tubes, a book on collecting, and a book on errors. Maybe putting together a kit to be given out initially, and then additional coins for subsequent A’s would get the fire burning. Of course, there would have to be an app for that too! Admittedly this is a fringe, “blue sky” proposal … but nearly every other major country has made significant updates to its coinage in the last 50-60 years. By contrast our designs (with variations) date back decades or even longer and sizes are the same as in the days of silver. Ideally we could learn from the experiences of Britain’s “D&D” (decimalization and downsizing) as well as the EU’s introduction of an entirely-new set of currency. E.g., eliminate the cent as so many other nations have already done, ditto for the wasteful $1 bill, mint a small and distinctive $2 coin to complement the existing $1 coins that would replace the dollar bill, and downsize the 50¢ piece so it could return to circulation as a replacement for handfuls of quarters. Unfortunately it’s doubtful any of these ideas or alternatives would ever happen, as they’d disappear under waves of Congressional grandstanding and squeals of opposition from the DECAAA* types. One thing I regret is that the US Gov’t didn’t start it popular proof sets a year earlier or even a decade earlier. Imagine the demand is there was a 1935 proof set having the Peace dollar? Better still would be a run of proof sets from 1921 with both dollar types as well as the Standing Lib quarters. I think it’d be great if the Gov’t would issue proof sets commemorating the coins of 100 years ago but with a hyphenated date like 2021 – 1921. They could reissue the dollars and others of these dates in proof or SMS struck in 90% or 40% silver. That way people could become intrigued by things such as the beautiful SL quarters in proof and it would be an impressive set to own or display. Do you have the list of the dealers involved, I would love to see if any of my local dealers are doing this so I can give them a big thanks.